Josie Polyester Bags 190 denier polyester tote with interior floating pocket for keys and I.D., dual reinforced 18” carrying handles and snap closure. Plus, the tote folds completely into its interior pocket. 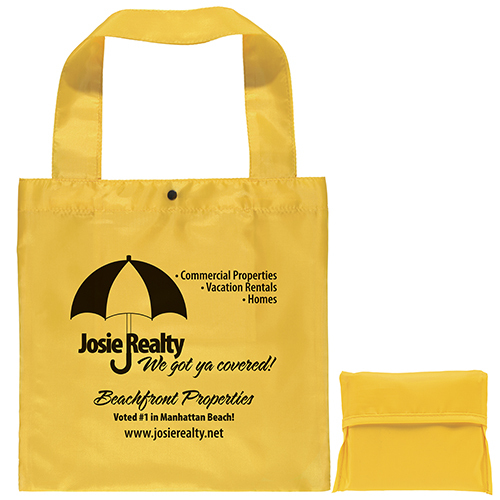 Josie Polyester Bags are a 190 denier polyester tote with interior floating pocket for keys and I.D., dual reinforced 18” carrying handles and snap closure. 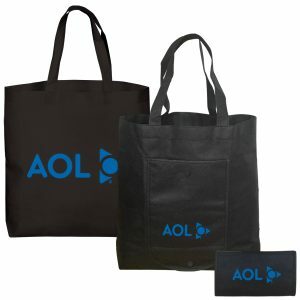 Plus, these tote bags fold completely into its interior pocket. 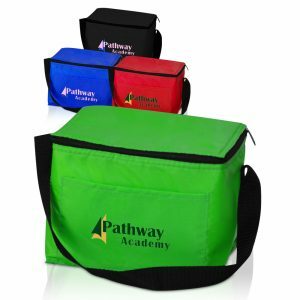 Take a look at other polyester bags we offer here. 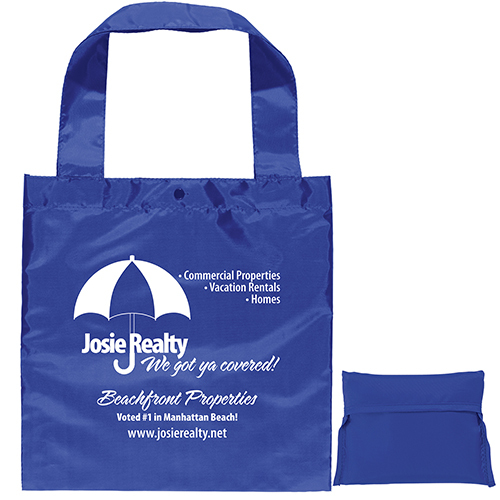 You will certainly find the right reusable grocery bags here at Bag Promos Direct. 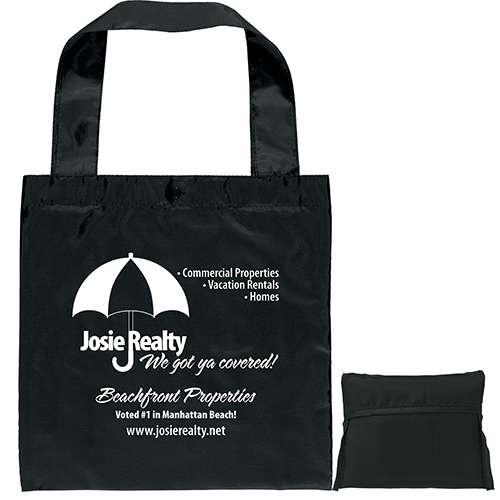 Josie Polyester Bags are a 190 denier polyester tote with interior floating pocket for keys and I.D., dual reinforced 18” carrying handles and snap closure. 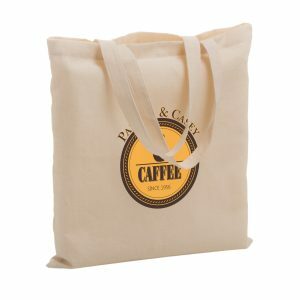 Plus, these tote bags fold completely into its interior pocket. Take a look at other polyester bags we offer here. View our wide line of products at customgreenpromos.com. Call or email us today for a free quote! Our customer service team is here to assist you with all of your questions. 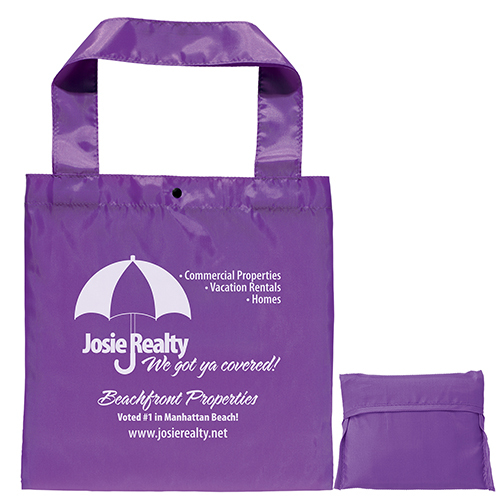 We will provide you with high quality promotional advertising products. Our products are always in stock and include many sizes, styles, and colors. 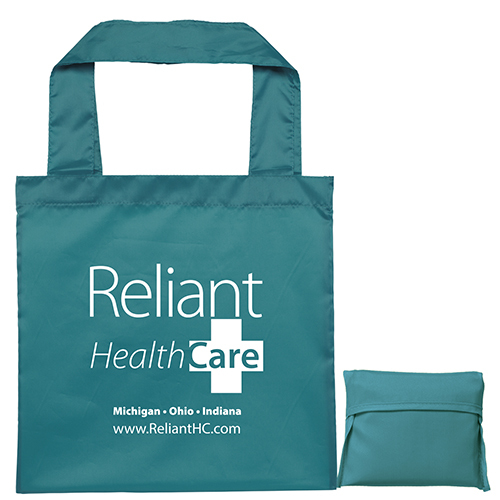 Our product line of reusable bags features custom imprinted reusable bags, reusable grocery bags, wine bags, laminated plastic tote bags, and many more. In addition to that, we also offer eco friendly recycled lanyards and plantable seed paper products. Call today for an immediate quote. Our staff is friendly, knowledgeable, and here to assist you with any questions. You can reach our customer service department toll free at 888-565-2235. If you would like to email us for pricing, you can email our sales department at sales@customgreenpromos.com. Don’t hesitate to contact us today! 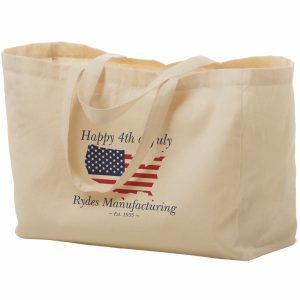 190 denier polyester tote with interior floating pocket for keys and I.D., dual reinforced 18” carrying handles and snap closure. Plus, the tote folds completely into its interior pocket.